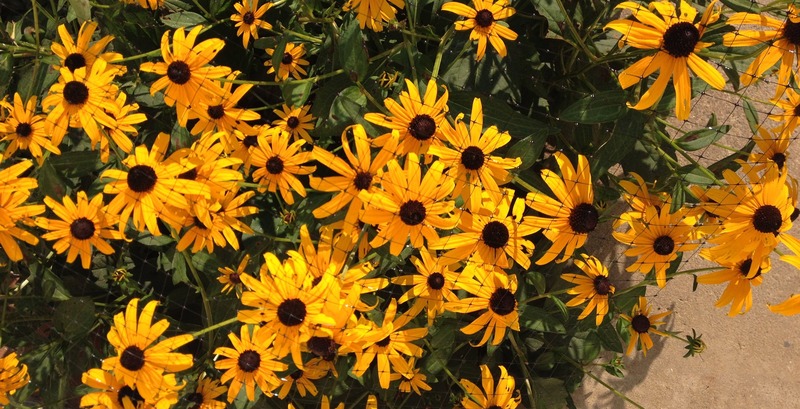 Surrounding her front door are Black-Eyed Susans, a plant native to our area. By selecting a native plant, she is creating habitat for bees, butterflies, and native wildlife; providing soil protection; and reducing her water use. In addition, instead of using fertilizers or harsh pesticides to keep deer away, she applies an inexpensive netting overtop of the plants. Deer can’t feed on the flowers and from a distance you can’t even see it! During the summer there isn’t much grass to mow, but when there is, my mom “grasscycles.” In other words, she leaves the clippings behind rather than collecting and putting them in the trash. Grasscycling also has the added benefit of putting nutrients back into the soil, which is essential this time of year. 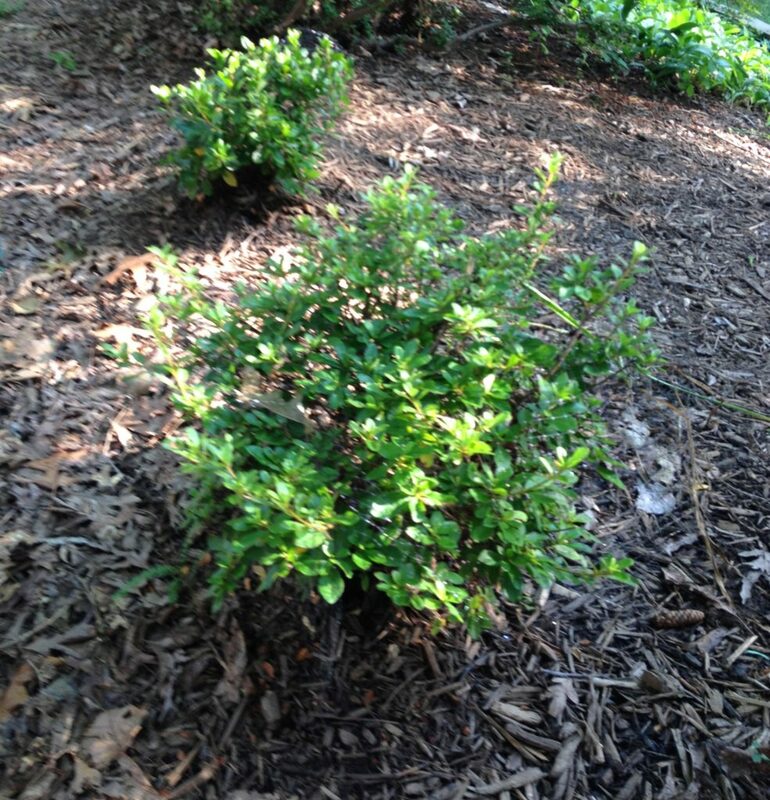 An azalea keeps soil from eroding in the back yard. Recently, my mom planted two new trees in her front yard. Unfortunately, it was before the new Tree Montgomery Program, but you can still take advantage of this initiative to increase the number of shade trees in the County. 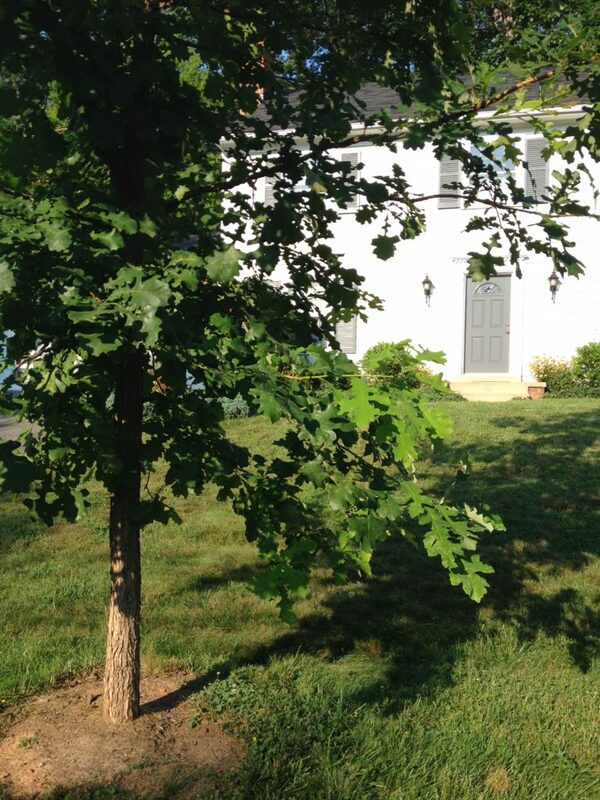 Shade trees help reduce energy use, curb stormwater runoff, and can even increase property values. Find out how you can request a free tree that the County will plant and monitor for two years. Whatever the case may be, everyone will benefit from the trees’ shade, habitat, and beauty. Tree my mom planted at her house. Soon this tree will shade her lawn and front door. After touring her yard, my mom mentioned to me that she would really love to install rain barrels to capture water when it rains. 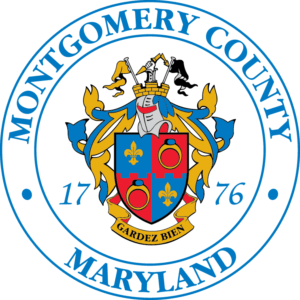 Fortunately, Montgomery County has a RainScapes program, which provides technical and financial assistance to homeowners and business that are interested in installing a RainScape, such as a rain barrel or a rain garden to reduce stormwater runoff. I have a feeling the next time I visit, she’ll be teaching me about how her new rain barrels helps reduce stormwater runoff and encouraging me to get some, too! 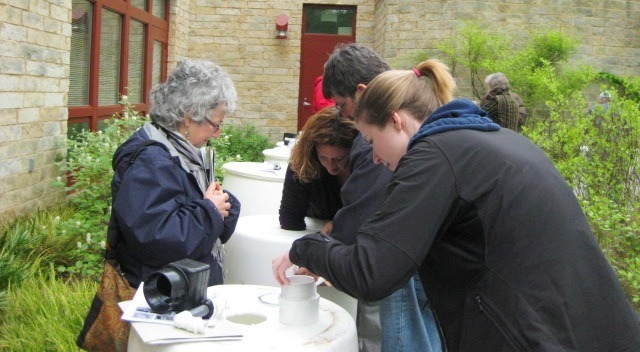 A past RainScapes Make and Take rain barrel workshop. My mom should attend the next one! 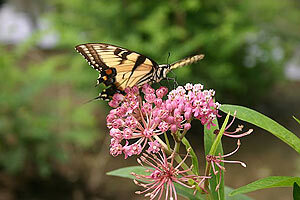 So, take a tip from my mom and try some of these simple maintenance practices in your yard. They’ll keep your plants green, healthy, and help conserve water. Want to learn more? Check out My Green Montgomery for do-it-yourself outdoor project inspiration and learn about incentives available to Montgomery County residents. *Lori Rhoades, guest blogger, has been connected to Montgomery County nearly her whole life. She grew up in Bethesda, did a field internship at DEP in college (nearly 20 years ago! ), and continues to visit Montgomery County to see her mom on weekends. Growing up, Lori’s mom provided the foundation for her passion to conserve the environment by leading by example. Thanks, Mom!